The National ASEAN 2020 Committee, tasked with making preparations for Vietnam to shoulder the ASEAN Chairmanship in 2020, made debut in Hanoi on December 24. Speaking at the launch ceremony, Prime Minister Nguyen Xuan Phuc said after more than 50 years of formation and development, ASEAN has been successful with its increasing role, position and prestige in the region and the world. The ASEAN Community, established in 2015, has become a “safe home” for regional residents, where they can live in peace, stability, cooperation and development. 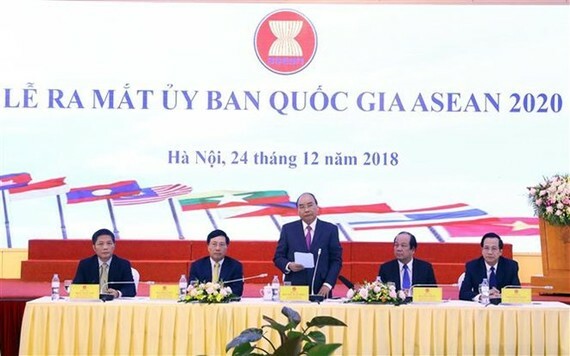 The 20-year development of ASEAN has been imprinted with Vietnam’s hallmarks and contributions, he said, stressing that the assumption of the ASEAN Chairmanship 2020 is both the responsibility and opportunity of the country to raise its role and position in the regional and international arenas. The PM affirmed Vietnam always determines ASEAN as a top priority in its multilateral diplomacy policy. Vietnam wishes to make more practical contributions to the building and development of a united ASEAN Community that plays a central role in the region, he said. The country is willing to do its utmost to make its ASEAN Chairmanship 2020 successful, Phuc stressed. The Government leader instructed relevant agencies to urgently make necessary preparations so that the country can excellently fulfill this role, in terms of content, ensuring security and safety, and promoting the image of the Vietnamese land and people in the prosperous ASEAN Community. The National ASEAN 2020 Committee was set up following the Prime Minister’s Decision No. 1743/QD-TTg dated December 14, 2018. The committee, headed by Deputy Prime Minister and Foreign Minister Pham Binh Minh, includes 29 members. 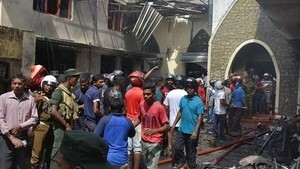 They are assigned to help the PM direct, supervise, coordinate, and guide the ministries, offices and localities to work in the fields related to the preparations for and implementation of the role. After the launch ceremony, the National ASEAN 2020 Committee convened its first meeting under the chair of Deputy Prime Minister and Foreign Minister Pham Binh Minh, Chairman of the committee. The meeting focused on discussing issues relating to the completion of the organisational apparatus and working plans of the committee, orientations on the roadmap for building the theme and priorities of ASEAN in 2020 as well as the roadmap for preparation for and implementation of the ASEAN Chairmanship 2020. Delegates agreed on coordination and working regulations of the National ASEAN 2020 Committee. The committee plans to convene nine periodical meetings between now and the end of December 2020. Concluding the meeting, Deputy PM and FM Minh highlighted the major orientations and focuses that the committee needs to realise in the time to come. He asked the committee members to thoroughly grasp their assigned tasks, considering the preparation for and implementation of the ASEAN Chairmanship 2020 one of the leading priorities to ensure the success of the ASEAN Year 2020.